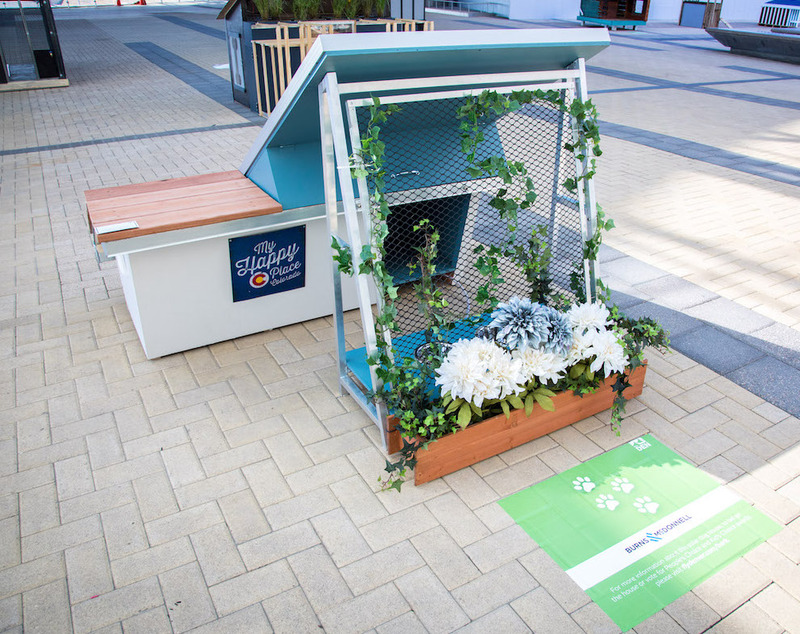 Integrating active solar and subfloor heating, this dog house was designed by Burns McDonnell. Oreo’s creature comforts are balanced with renewable energy, water harvesting and local materials. Oreo’s house is equipped with a fan, solar chimney and underfloor heating system to moderate Oreo’s environment year-round. A rainwater catchment provides natural irrigation to a trellis for cooling vegetation and rounds out this house’s green features. 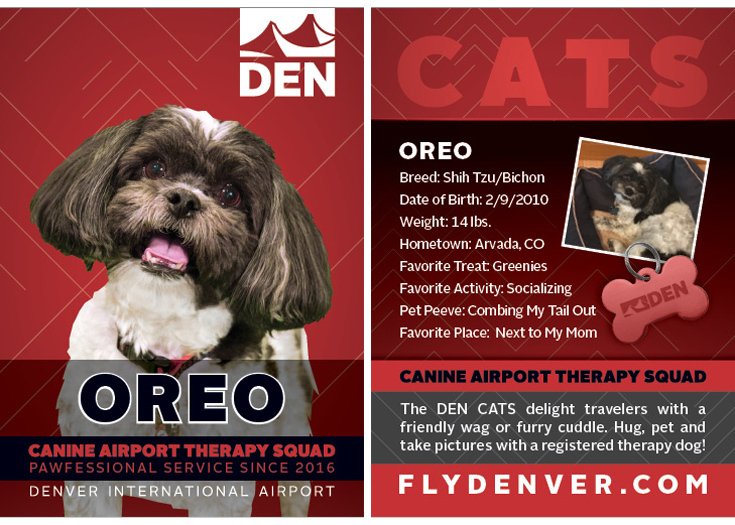 DEN Canine Airport Therapy Squad dog, Oreo, a shih tzu/bichon mix whose favorite activity is socializing. To moderate the climate to keep a small breed like Oreo comfortable year-round and to support his social lifestyle with seating space for human visitors, a yard for play and a porch for viewing the world.